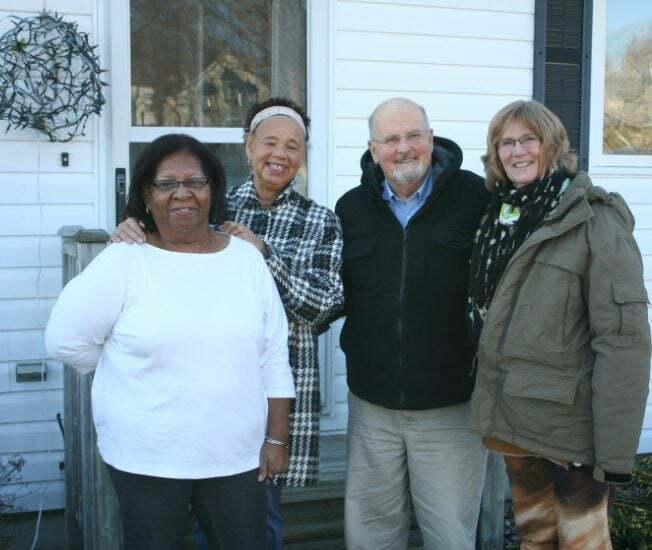 KJIPUKTUK (Halifax) – Louise Delisle, the courageous Black woman who was accused of playing the race card by a Town of Shelburne councillor for raising concerns about the town dump, is not impressed by his fake attempt at an apology. Now a coalition of environmental and anti-racist activists is asking that councillor Rick Davis formally apologize, not just to Delisle but to the entire Black community. The group is also preparing further activities in support of the embattled African Nova Scotian residents in the Town of Shelburne. Delisle, together with other community members, has for years now been arguing that many deaths of cancer-related causes are likely caused by toxic seepage from a town dump placed within their small Black community. What triggered councillor Rick Davis’ virulent Facebook attack on Delisle was her speech on the occasion of the launch of a proposed Environmental Bill of Rights in Halifax. That speech was transcribed and published by the Nova Scotia Advocate. “I think it’s time to stop playing the racism card. It’s old. And I think it’s time to stop grasping at the looking for “compensation”, game, but to find a way to make things work moving forward,” wrote Davis on on the Shelburne Exchange Facebook page. There were more insults and accusations by the angry councillor, which you can read about in this Nova Scotia Advocate story. It’s fair to say that the Nova Scotia Advocate stories generated a lot of discussion in the town, and not all of it friendly. It’s one thing to be outspoken about issues in a city such as Halifax. But doing the same thing in a small community where everybody knows you is an entirely different matter. Another councillor came to her house to apologize and explain that Davis’ opinions are not shared by other councillors, Delisle says. But all Davis has produced so far are some weasel words. “If I’ve hurt anyone’s feelings I am sorry about that, but the fact is, we need to move on and look forward. I totally respect what you are trying to do Louise, but we all grew up in that atmosphere, regardless of where we lived in town,” Davis wrote on Delisle’s Facebook page. And then in a subsequent comment Davis suggests it’s really he who should be pitied. “Listen, do you think I feel all warm and fuzzy about what happened up there? Of course I don’t, but I wasn’t even born then. Somehow though I feel as though I am being blamed for it. I appreciate there could be problems because of that dump. They put God knows what in there for years and years. It affects us all and who knows how. Not surprisingly, none of this is good enough for Delisle, who wants a public apology by the councillor, and not just to her. “The bigger issue is that it’s not a personal issue. It has little to do with me. It is not just me he offended. He offended the entire community, the people who have died of cancer, the widows who are in this community. These are the people he needs to apologize to,” says Delisle. Meanwhile people elsewhere are mobilizing in support of Delisle and her fellow activists in Shelburne. Sadie Beaton, research coordinator at the Ecology Action Centre, together with Delisle and Dr. Ingrid Waldron of the Enrich Project, issued a press release demanding that Davis apologize. Long time anti-racism and labour activist Lynn Jones was also touched by the stories that reached her from Shelburne. She felt that need to offer tangible support to the Shelburne activists as well. “I was really angry when I read the stories. To me there should have been an immediate outcry,” Jones says. She is talking to her network of people to see what can be done to help. Stay tuned, she says. One of the more heated debates that Delisle engages in is triggered by the notion that her community should be compensated for the decades of suffering it experienced. That idea of reparatory justice for African people in Nova Scotia is very important, and often misunderstood, says Jones, who, through her involvement with the Global Afrikan Congress intends to raise awareness around the issues here in Nova Scotia. Reparations is not just simply a financial thing, it can take many forms, and it’s an acknowledgment of discriminatory practices through the ages, starting with the slave trade,” says Jones.